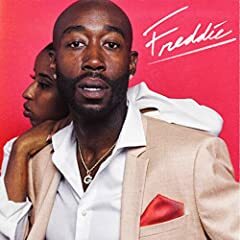 The American rapper Freddie Gibbs was born Fredrick Tipton on June 14, 1982 in Gary, Indiana. After signing with Interscope Records in 2006 and recording one album, the label shifted owners and Gibbs was let go. He released a compilation album in 2009 called The Miseducation of Freddie Gibbs. His latest album is 2015's Shadow of a Doubt. In November 2014, Gibbs was sitting in a car in Brooklyn, New York when a gunman fired at the vehicle. Gibbs was not hurt, but two people in his entourage had to be treated for non-life threatening gunshot wounds.